Enter Your Tire Size To Begin! 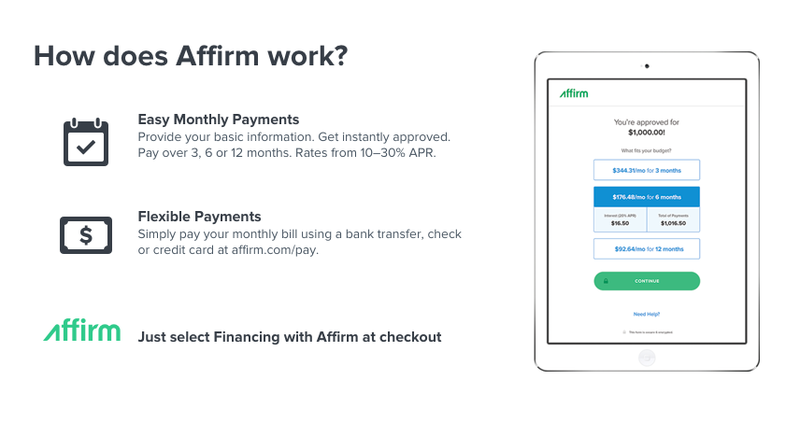 SimpleTire.com has teamed up with Affirm to offer easy financing – without a catch. There are no gimmicks like deferred interest or hidden fees, so the total you see at checkout is always what you actually pay. Provide some basic information and get instant approval to split your purchase (up to $10,000) into 3, 6, or 12 monthly payments with rates from 10-30% APR. Yes, when you first create an Affirm account, they perform a ‘soft’ credit check to help verify your identity and determine your eligibility for financing. This ‘soft’ credit check will not affect your credit score. If you choose to complete a purchase and finance it with Affirm, they will do a single ‘hard’ credit check when your first order is processed. This may have a minor impact on your credit score. For future purchases with Affirm, they won’t need to check your credit again. Why was I prompted to pay a down payment with a credit card? We try hard to approve every purchase with Affirm but sometimes we can’t approve the full amount. When this happens, we provide a debit card down payment option so that you may still complete your purchase right away. Affirm sometimes requires additional information to consider a credit application. Such information may include an active checking account, which helps us verify your identity and your ability to repay the requested loan. If we prompt you for this information but you are unable to provide it, Affirm will be unable to approve your credit application. Maybe what you really need are mud tires? 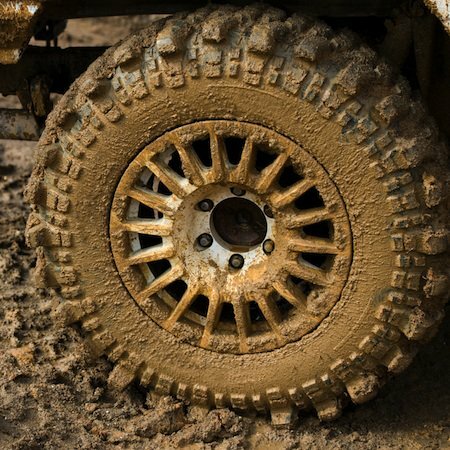 Find the mud tires that fit your vehicle and learn more about choosing the right mud terrain tires. SimpleTire.com carries a large variety of mud tires by size and product line. 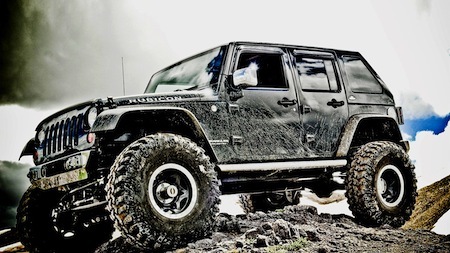 Check out our recommended mud terrain tires. 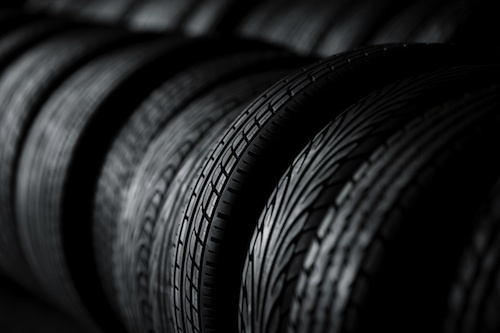 If you are looking for a specific all-terrain tire line for your vehicle, we can help with that. Or, take a look at our line up of all-terrain tires. Enter Your Vehicle To Begin!